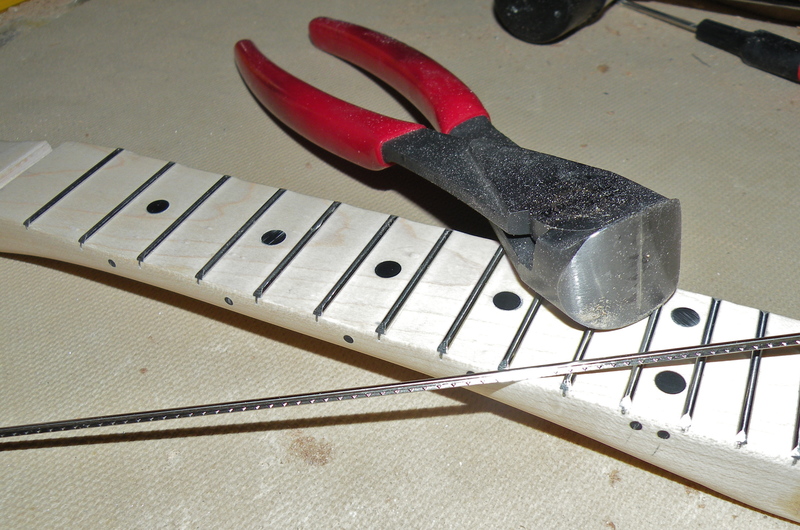 My four string bridge arrived in the mail, so I was able to drill the holes for the screws and strings. 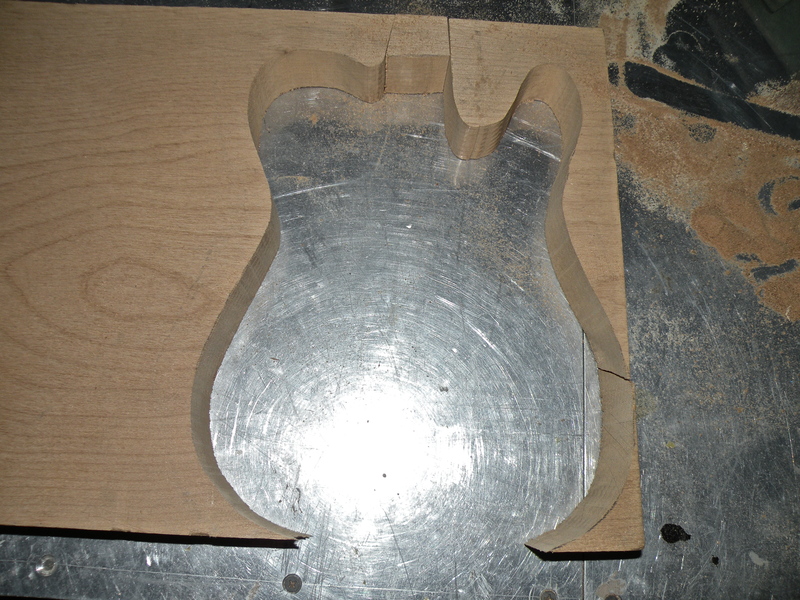 The holes for the strings go all the way through the body. 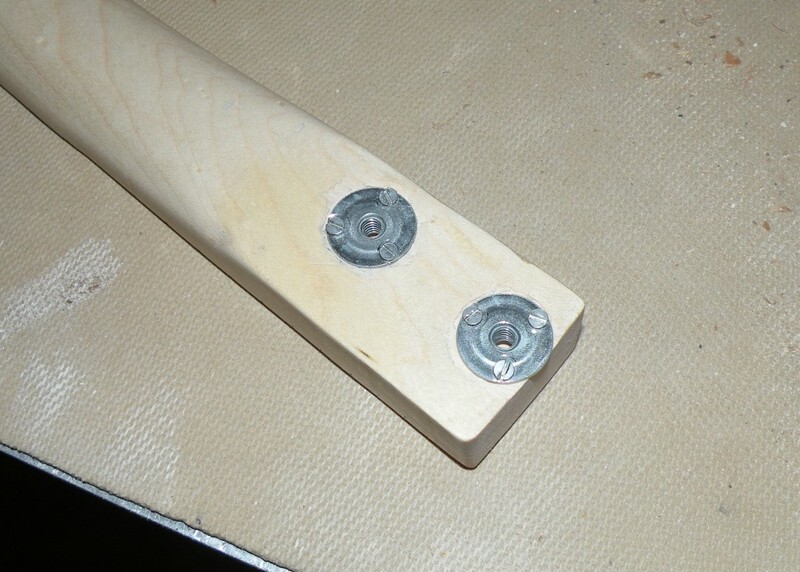 I used a long drill bit to drill a hole from the bridge to the control cavity. I will run a wire through this hole to ground the bridge. 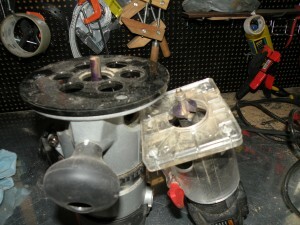 A long drill bit is nice to have. 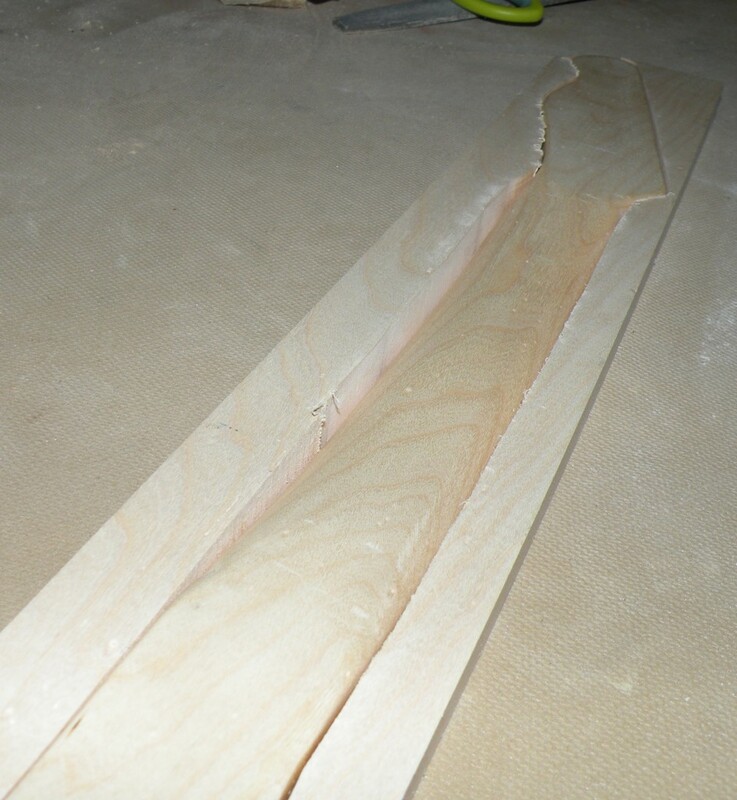 It’s difficult to use a regular length bit and still get the desired angle without rubbing the wood with the drill. 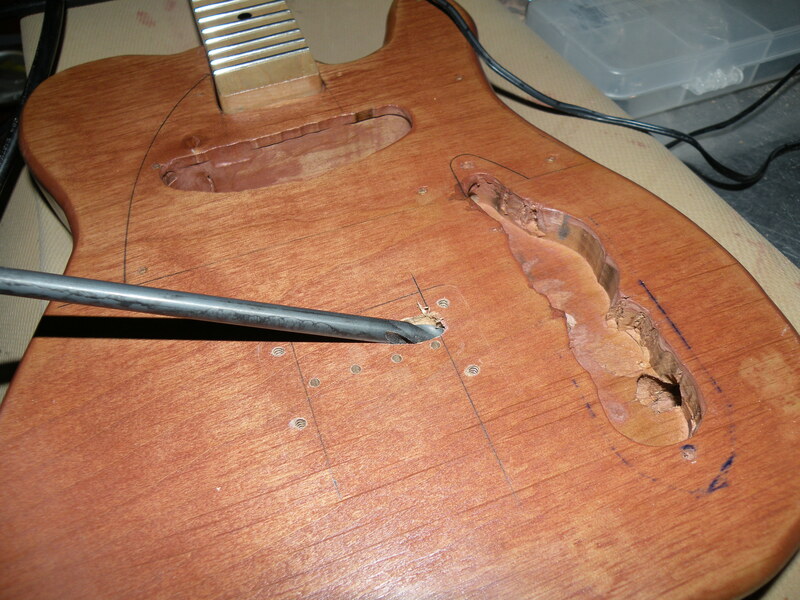 On the back side of the body, I countersunk holes for the string ferrules. 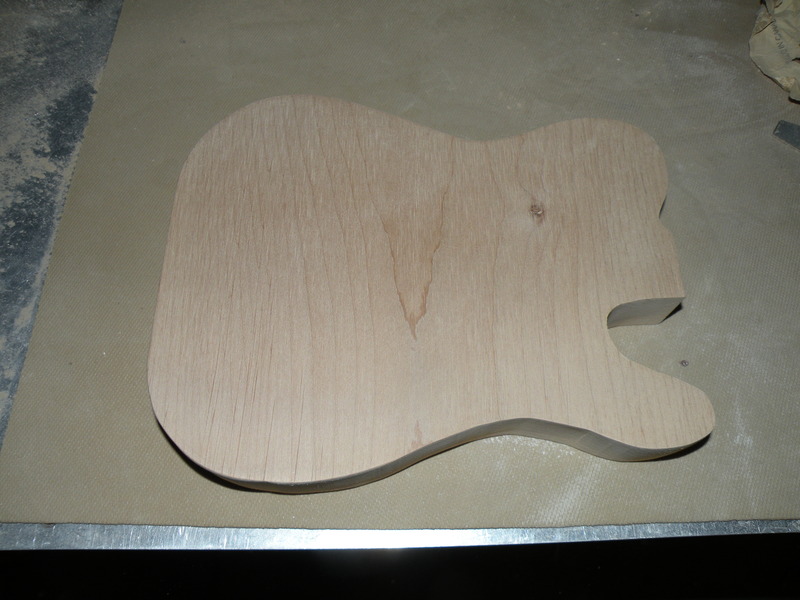 The cutting, shaping, and drilling are now complete. 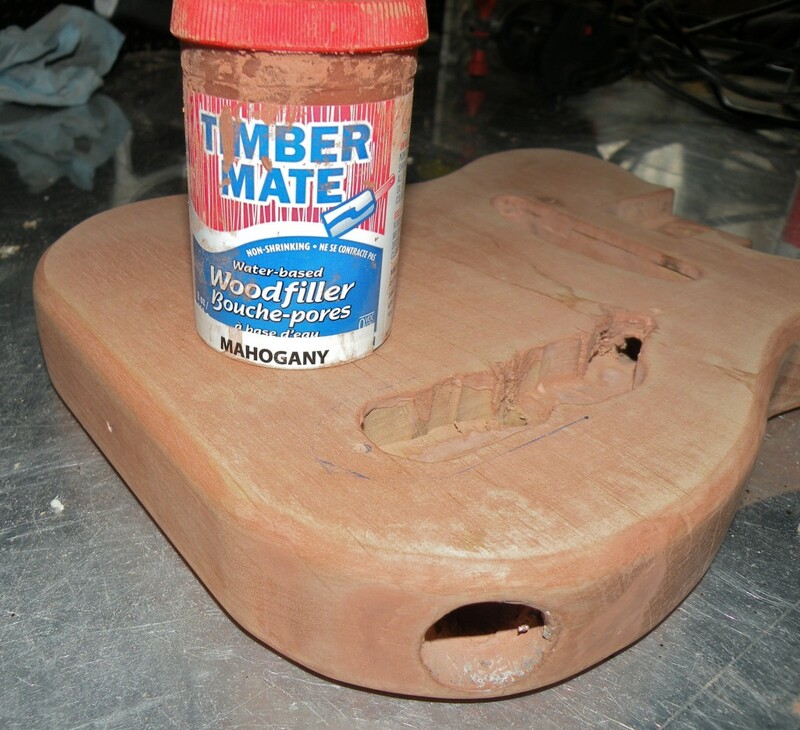 Before painting, I like to assemble the major components on the instrument. 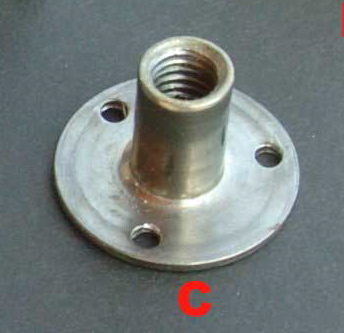 This gives me confidence that all of the parts will fit together. If something needs to be adjusted, it’s much easier and cleaner to do it now. 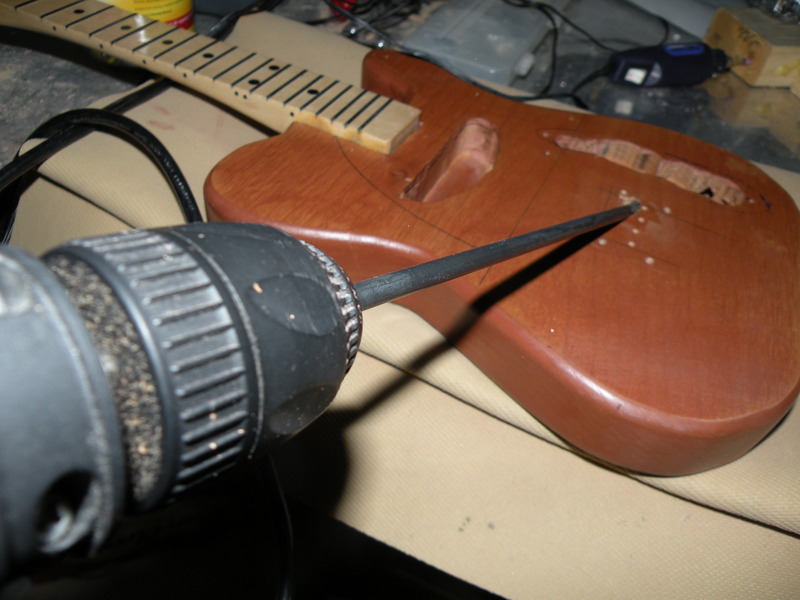 Ahh…the Telecaster. The iconic guitar that launched 10,000 licks. Elegant in it’s beauty and playability. Everyman in it’s straightforward design and construction. 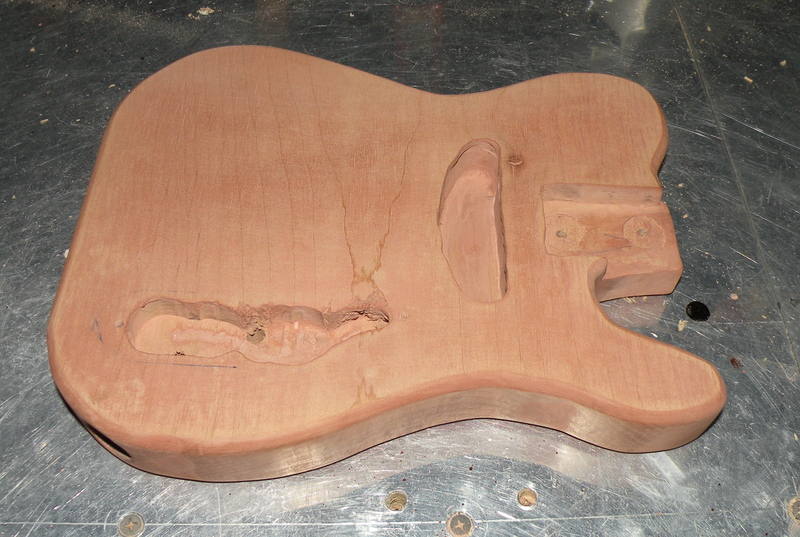 The very first electric ukulele that I built was styled after a Telecaster. 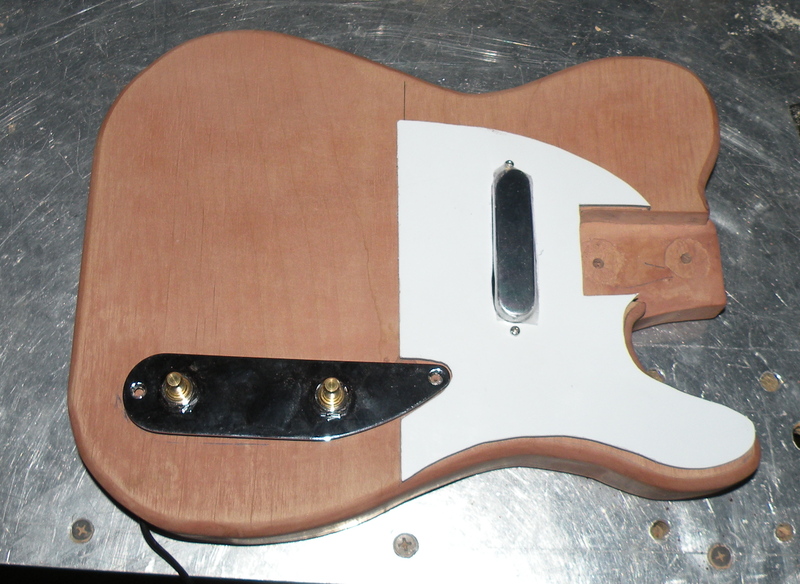 I used a neck from a kit because I didn’t have the resources or skills to make my own. 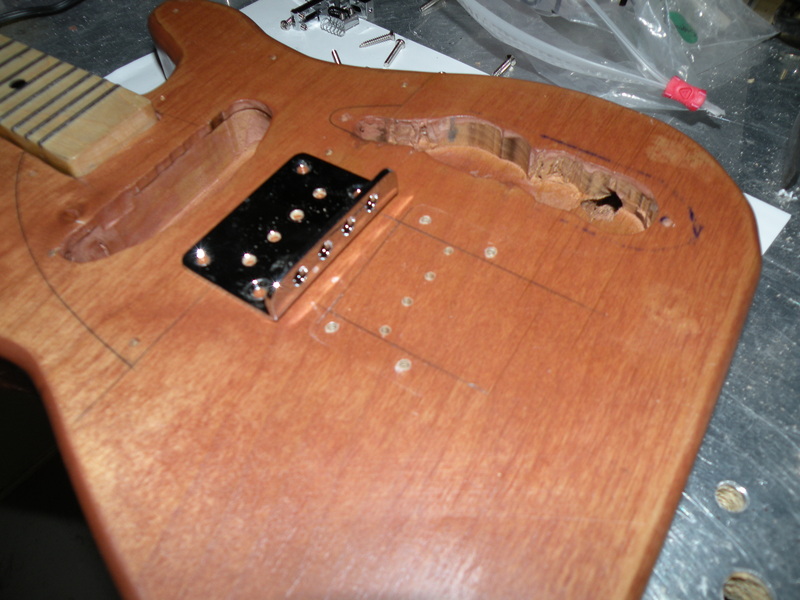 All of the main parts were the same ones that would be used on a full-sized Tele. 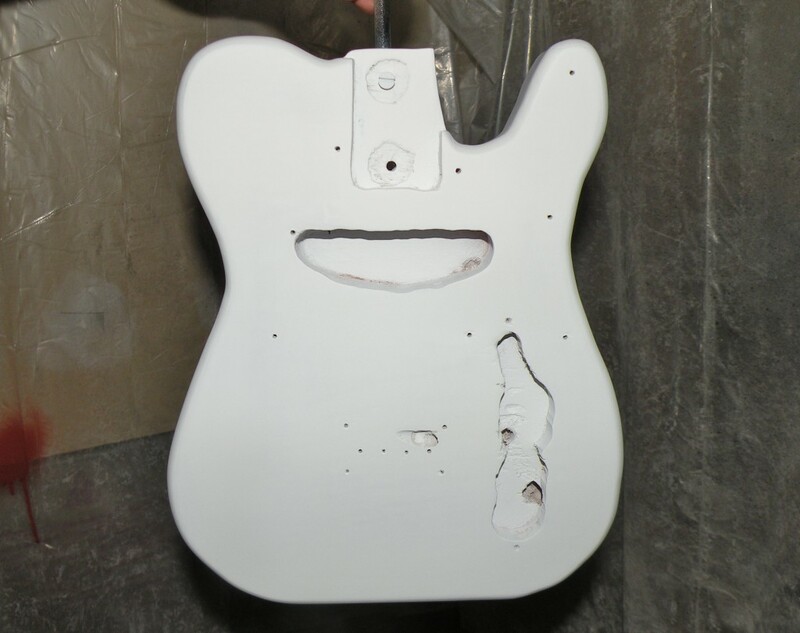 I liked the functionally of the two pickups and the selector switch, but the small body left very little surface area for all of the parts. 15 inch scale. 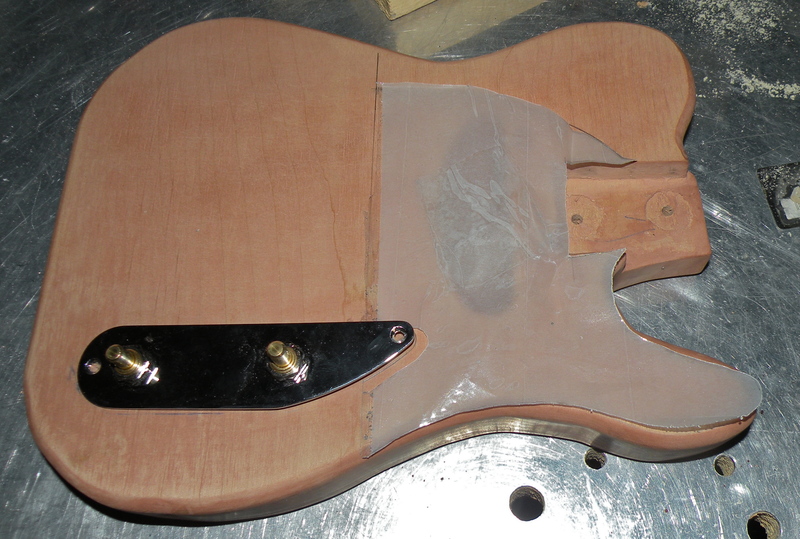 Most of my other builds have been soprano scale, but I want this to be a little longer. 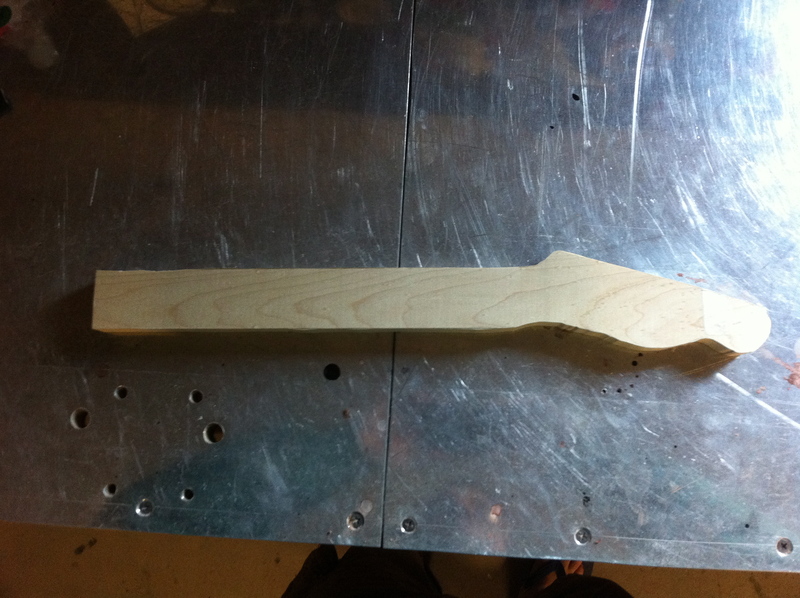 One piece maple neck and fretboard. 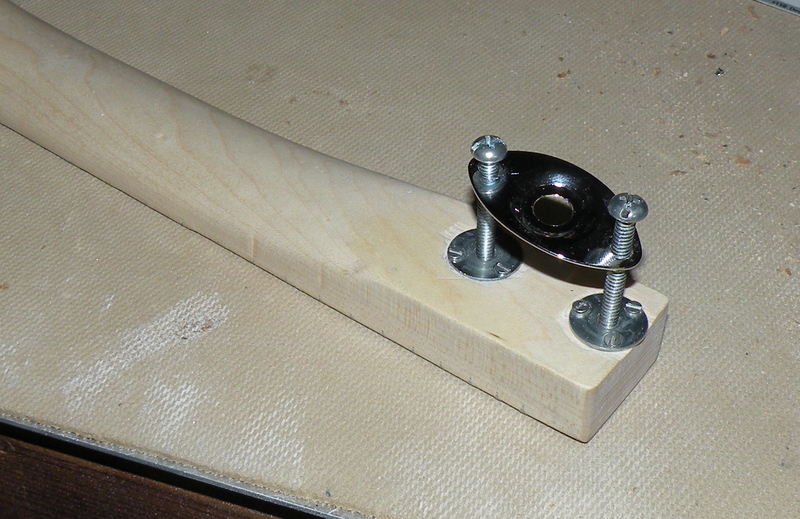 This will add a degree of difficulty to the build. 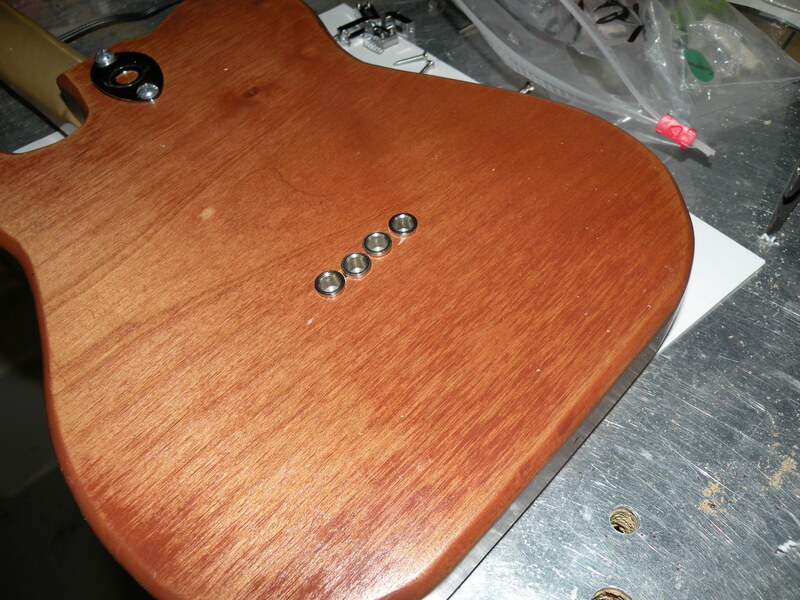 If I mess up the fretboard, the whole neck is trash. 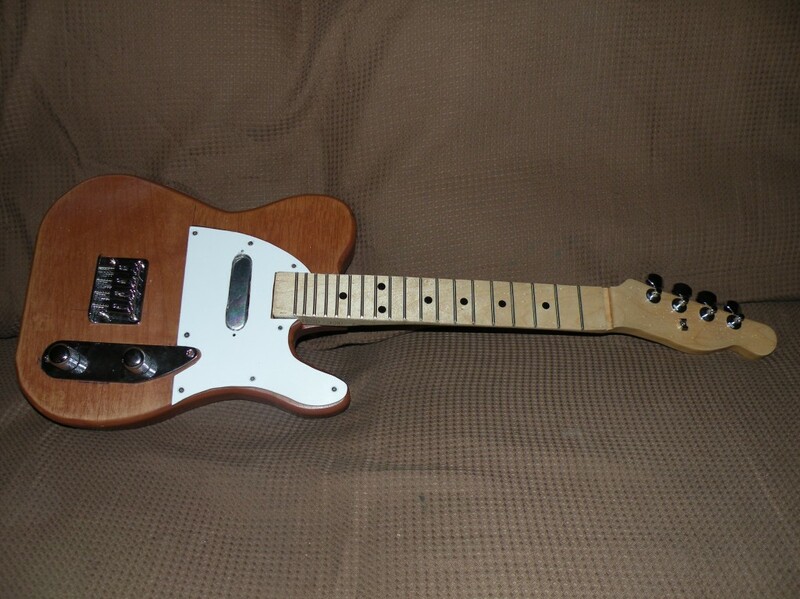 One pickup with tone and volume controls. 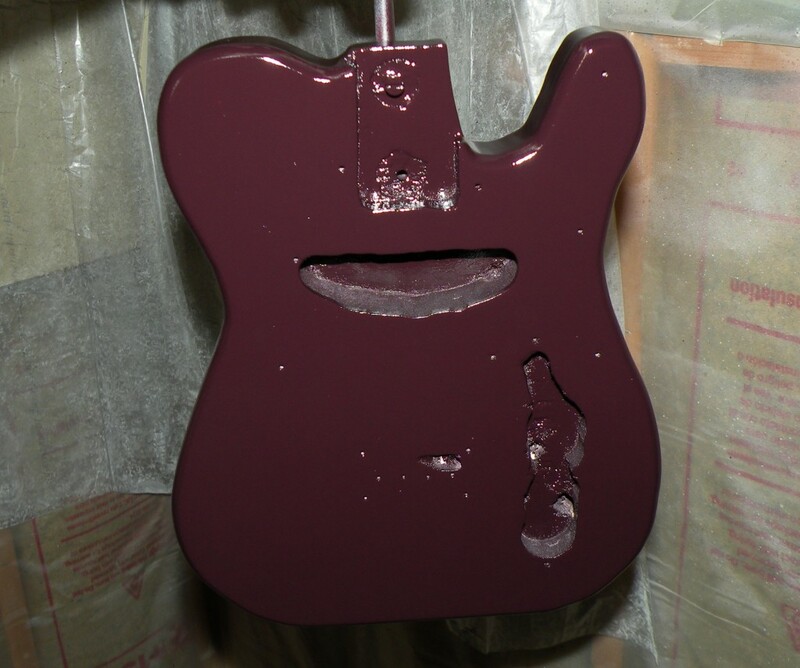 Fiesta Red nitrocellulose lacquer finish. 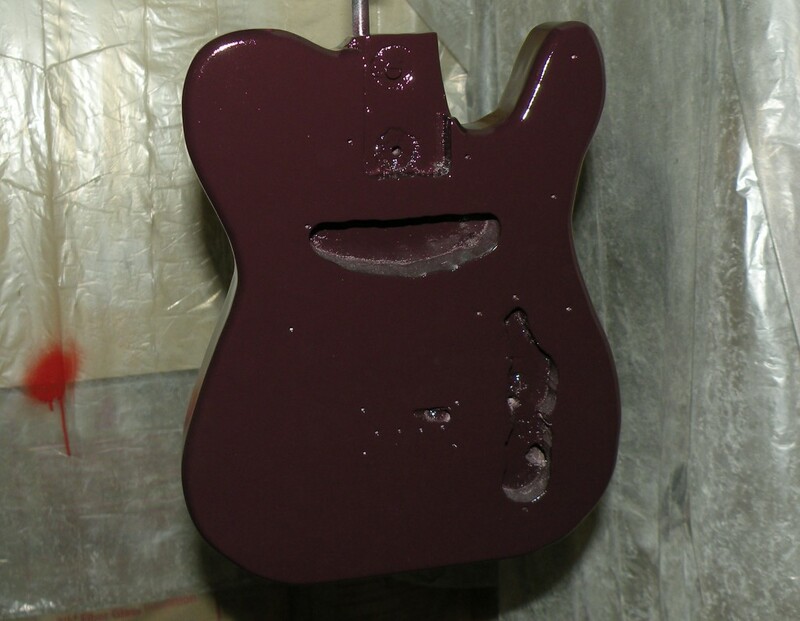 Thankfully, I have some of this paint leftover from my Jag-Stang ukulele build. That should wrap up the preliminary stuff. I’m excited to get working on this thing!